Indianapolis offers residents a great selection of post-secondary education facilities including the University of Indianapolis, Purdue, Ivy Tech Community College, Butler University, Ball State, the Art Institute of Indianapolis, and more. Indianapolis offers many great events including: Indianapolis 500, Brickyard 400, Men’s and Women’s NCAA Basketball Tournaments, and the home of the 2012 Super Bowl. The Downtown core offers many great attractions including the Circle City Mall, Conseco Fieldhouse, Indianapolis Zoo, Lucas Oil Field, and many others. Indianapolis is built on a rich cultural heritage which offer residents a variety of attractions and features around the city. 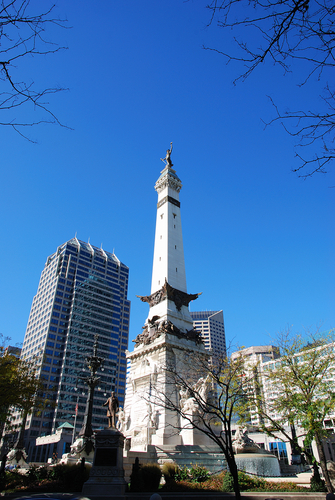 There are many historical sites, memorials, and museums within the city; Indianapolis has the second-most number of war memorials of any city in the US after Washington DC. As well as culture, Indianapolis is known for being a center for sports. The city has hosted the Indianapolis 500 for over a hundred years. Indy is also home to a variety of college sports and professional teams including the Indianapolis Colts (NFL) and Indiana Pacers (NBA).